Bonjour Scrap ! : Happy Valentine's day ! 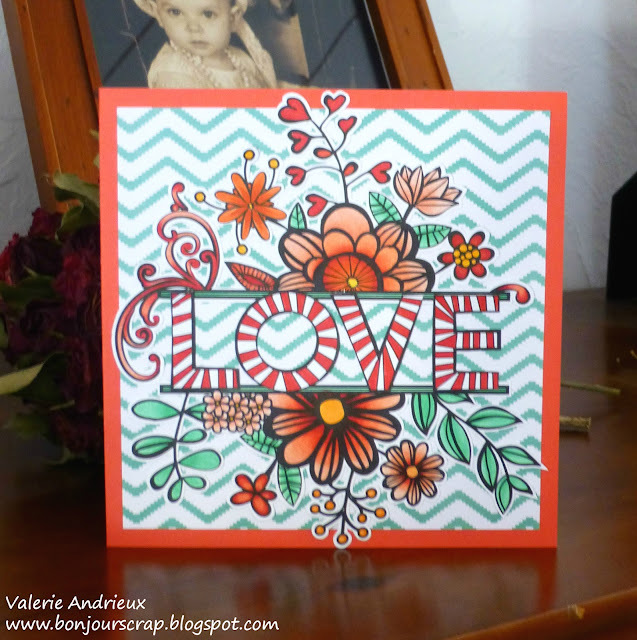 You know my love of fussy cutting, and I must say that I found a lot of pleasure in the Color&Create stacks... Flowers and title are one piece cut out and colored ! Background paper came from the stencil stack and cardbase from bright cardstock stack. I wish you a great Valentine's day. Take time to do what YOU love.